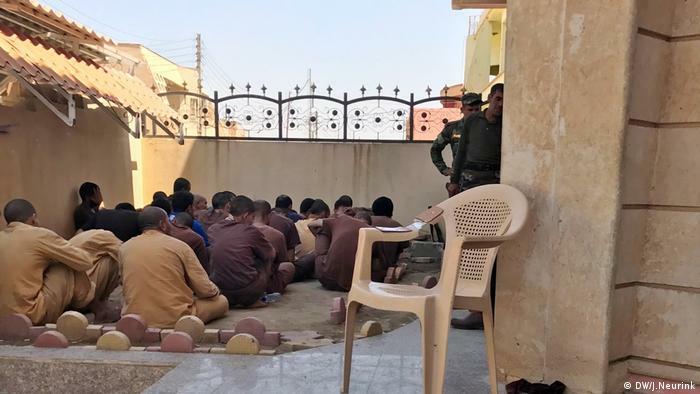 Iraqi courts are fast-tracking cases in court against "Islamic State" (IS) members, but there is concern about the diligence of the speedy process. Judit Neurink reports from Qaraqosh. "I am looking for my son," says a woman dressed in black outside the high walls of the Iraqi court where those accused of membership of "Islamic State" (IS) are on trial. Her son was picked up eight months ago, together with the rest of their village, some 275 men in total. "Some were released, but he was not. But I know he is innocent." Sariah Yahya tells DW that she searched for him everywhere. But her son Luay, a farmer with two children, is not listed in any of the informal prisons where Iraqi army units are holding their IS prisoners. Now she has come to check for his name at the court of investigation based in the Christian city of Qaraqosh. "No mother of a Daeshi would dare ask for her son," she points out as proof of his innocence, using the group's Arabic name. Iraqi Kurds are slated to vote on an independent Kurdistan on September 25. Even though most are in favor of getting their own state, many are still considering to vote 'no' as Judit Neurink reports from Sulaimaniya. "It's hard to say 'no'," said 27-year-old Ali Faraj, a journalist working in Sulaimaniya, the second city of the Kurdistan region of Iraq. Every Kurd wants an independent Kurdish state, he added - so, when they vote in today's referendum for independence, he said most Kurds will vote 'yes'. But like many people here in Sulaimaniya, a bastion of opposition to Kurdish leader Masoud Barzani who initiated the poll, Faraj said he wants the referendum to be delayed. "Perhaps even till 2019, so there's time to prepare it really well," he told DW. Even though independence is his dream, too, Faraj says "it is too dangerous now." He points to the poor state of the economy, which could influence the outcome of the poll, but also to negative reactions from Iraq and abroad: from neighboring Iran and Turkey, in particular, who have threatened to close the borders through which the Kurds in Iraq get most of their goods. Iraqi minorities have been voting for an independent Kurdish state in a bid for stability and peace. A Kurdish passport and nationality could improve their situation, they believe. 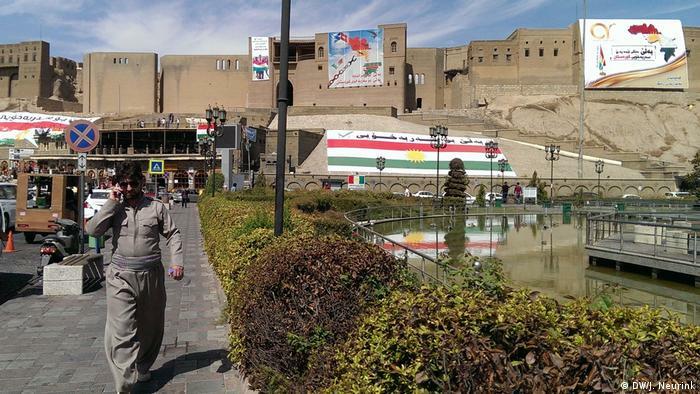 Judit Neurink reports from Irbil, Iraq. Disappointment with the Iraqi government and loyalty to the Kurdistan Region of Iraq, which took them in when the terror group "Islamic State" deprived them of their homes and livelihoods, has led many Iraqi minorities to support the Kurdish push for independence. 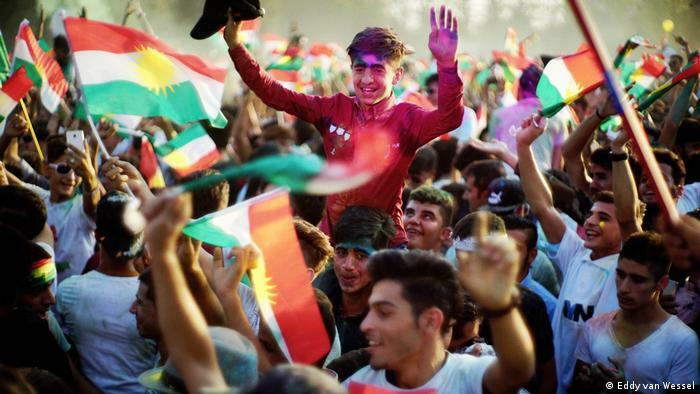 When the Kurds voted on Monday on secession from Iraq, they included not only the minorities in their own region, but also those in the lands beyond it which they are claiming for their new state. "This is now our community," says Inaam Tomea, 45, showing her blue inked finger after voting. She is from the Christian city of Qaraqosh, on the Nineveh Plains, which IS took over in August 2014 and which the Kurdistan Region wants to be part of its future state. Most of its inhabitants fled to Kurdistan and to camps set up in Ainkawa, the Christian enclave of the Kurdish capital, Irbil.